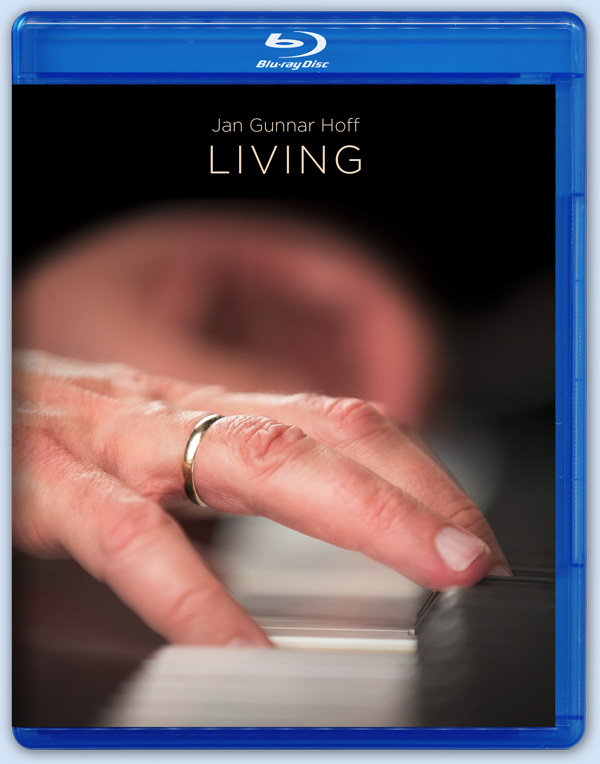 If you loved 2L Recordings' Quiet Winter Night as much as I did, then you probably already know Jan Gunnar Hoff. A well-known bandleader, composer and jazz artist in his native Norway, Hoff acted as the leader, arranger and pianist in that warm, romantic ensemble recording. 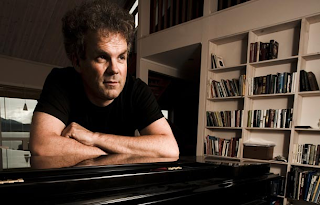 The relative success of that album--it was nominated for a Grammy--prompted 2L to feature Hoff in his first solo recording, a series of piano pieces titled Living. 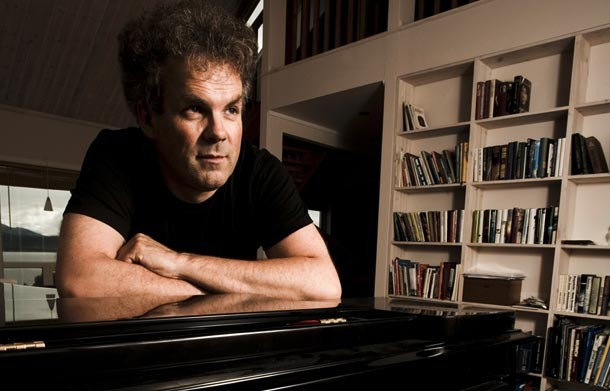 Hoff's compositions, which are often called "meditative and expressive," are notably accessible when compared to other recent entries in the 2L catalog; along with QWN, this may be the lone recording by Morten Lindberg that will inspire you to listen at night, in front of a fireplace, preferrably with someone you love. 2L has already released a recording of piano improvisations within the last year or so from fellow Norwegian composer Ola Gjeilo. During casual listening, the seriousness of the music in that recording can easily be lost--its somewhat cheery disposition might persuade you that you're hearing something that can be described as "easy listening." It's only when you sit down and take the time with Ojeilo's compositions that you notice the unsettling undercurrents that add a more somber and reflective layer. Living, on the other hand, grabs your attention almost immediately. While richly melodic and soothing, Hoff's compositions are more rooted in the classical piano repertoire and are more emotionally direct. Then again, much of the music on Living seems more structured and purposeful because these aren't necessarily improvisations. "Brytning," for example, was originally written for a music festival back in 1992, and "A eg veit meg eit land" is a Norwegian anthem that was originally composed by Elias Blix back in 1896. Hoff does attribute "Karlygash" to 20th century Kazakh composer Akhmet Zhubanov, but is quick to say that his version is "freely interpreted." Listening to the lush, flowing, impassioned performances on Living, it's easy to imagine that they are emanating deep from within his soul, and it's equally easy to assume that another take on any of these tracks would yield tremendous differences in the outcome. The most striking aspect of this recording is the incredible decay of the piano in the Sofienberg Church. There's a uniquely visceral impact to the space between the notes, almost as if you're embracing the lid of the piano as Hoff plays and you can feel the vibrations of wood and hammered strings. Morten achieved this by placing the microphones at some distance from the piano, allowing the interior of the church to enrich the presentation. A small but noticeable touch, visible in the photos in the enclosed booklet, is the placement of firewood under the piano itself. I wonder what this achieved, and how it contributed to the recording. Morten Lindberg is very much at the cutting edge of recording techniques these days, and it's astonishing to think he resorted to such an ancient solution to bring out the natural timbre of this piano. Then again, the 2L recordings are so magnificent in their sonic consistency and ingenuity that I won't be surprised when random fireplace logs start appearing in audiophile's listening rooms throughout the world. Highly recommended--the recording, not the logs. Colleen Cardas Imports, along with Blackbird Audio/Gallery, will be exhibiting at the upcoming T.H.E. Show in Newport Beach, California on May 31-June 2. Our system will consist of the Unison Research Giro turntable, PureAudio Vinyl phono preamplfier, Unison Research Unico CDE CD player, Unison Research Sinfonia integrated amplfier and Opera Seconda loudspeakers, with all cabling and power management by Furutech. We will be located in Room 525 of the Hilton, so come see us! For more information on the show, please visit the T.H.E. website at http://theshownewport.com/visitors/index.html. In the coming days and even weeks, you'll be hearing a lot about Amy's Baking Company in Scottsdale, Arizona. Over the last few days they've been the subject of internet scorn and ridicule after the bistro/bakery appeared on Gordon Ramsay's Kitchen Nightmares, and it was the first time that Gordon had to walk away from a restaurant because the owners were so obviously dysfunctional and, quite obviously, nuts. 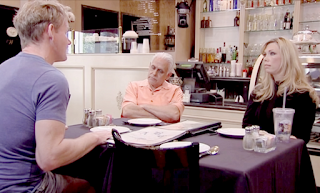 A quick synopsis: Amy's engaged in an internet battle with Yelp and Reddit reviewers back in 2010, and it didn't go their way because Amy and Samy Bouzaglo, the couple who owns the restaurant, battled each negative comment with foul language, personal attacks and more. They made themselves huge targets, and business went down the drain. They requested help from Ramsay's show to combat the negative image they had unwittingly cultivated for themselves--they wanted Gordon to come in and declare the restaurant great. If you've seen the show (which you can do via YouTube), you know the plan backfired. Among the most vile discoveries: Amy and Samy keep all the tips from their wait staff, they serve frozen store-bought food and try to pass off as freshly made, the food is horrible and horribly overpriced, they love to routinely antagonize and eject customers who complain, and they've fired at least 100 employees over the last year. From watching the show, it's hard to deduce anything other than these are two are odious, insane people who should not be in the restaurant business. The real battleground is their Facebook page, where they've really lost their marbles. It's great entertainment, the proverbial trainwreck, but it's terribly sobering and sad at the same time. I use the word sobering because I think about my own internet battles over the years, and how I've grown to love a good argument--especially when it comes to the Technics SL-1200. I truly believe that the lowest common denominator in our society can be quickly witnessed while perusing the comments sections of most websites and blogs (one reason why I carefully moderate the comments on this blog and only include intelligent, constructive and generally positive offerings). While I think that the average person who feels the need to express themselves in comments sections are also easy targets in a moderated environment, what you see on the Amy's Facebook page are people who are seasoned, clever and vicious--professional trolls, in other words. There's some great comedy material to be found on that page right now, and in overwhelming amounts. Amy and Samy are buried under this inventive, scathing vitriol. Personally I think Amy's is a front for some other kind of business--how else can you stay open since 2006 and offer this kind of questionable product or service without earning revenue from some other source? Then again, we might just have a case of a rich man who absolutely adores his nutty wife, and he's humoring her nuttiness by letting her live her dream of owning a restaurant even if it costs him a fortune. It's just a theory--I have no idea what's really going on here, but I am calling shenanigans on the whole affair. In the end, Amy's Baking Company is done. Every day they stay open and try to fight the internet surge is a day where Samy loses a ton of money. But while it may be easy to feel sorry for the Bouzaglos--they're clearly not having a good week, or even year--there's a point where you have to realize it's all a blessing in disguise. Someone is going to come along and offer these two a reality show. They shouldn't think twice about it. Judging from the massive response to the Ramsay show, there's a huge market for this kind of dysfunction--Honey Boo Boo, I'm looking in your direction. Part of me would be really disappointed if Amy's Baking Company became the most popular show on TV, a la Duck Dynasty. But I'd watch it in a heartbeat. 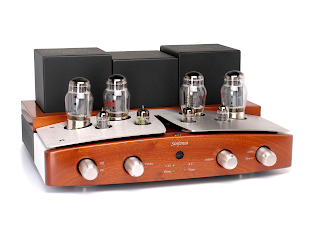 For all of you attending the Munich High-End Show right now--and I wish I was among you lucky people right now--the High End Society in Munich deleted the Joseph Audio catalog listing by mistake. Considering Jeff Joseph usually achieves the best sound at the show, you should definitely visit him in Room E117, Atrium 4.1 OG! We're in Dallas for my third annual Lone Star Audio Fest. As I mentioned in my previous blog post, we stopped by to support two Unison Research amplifiers that were being used this year. 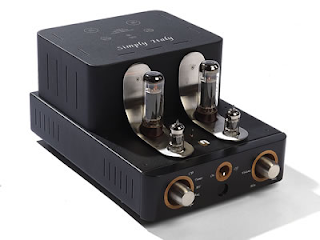 Our friend Russ Gates used his very own Simply Italy integrated amplifier to debut his first speaker design, a pair of hefty-looking stand-mounted monitors. Unfortunately, I didn't get any photographs of his speakers--we spent plenty of time Friday night listening to them, and I figured I'd get plenty of time with them on Saturday. But Russ had to leave his room for a bit, and we just couldn't get the timing right. Below is a photo I stole from his Facebook page. Russ was very modest about his first attempt at a commercial speaker, and even told us the Simply Italy was "too good for it," but after it settled in for a few hours I have to say it really started to sound nice. I heard plenty of bass from his monitors mated with a very pleasing tonality. Soundstage depth suffered a bit with the smallish room, but I think Russ definitely has a future as a speaker designer if he sticks with it. Even the appearance was pleasing for a first-time design--not like many of the unfinished plywood designs we've seen at LSAF in years past. Russ told me he finished assembling his speakers the night before when he'd changed his mind about a design parameter at the last minute. 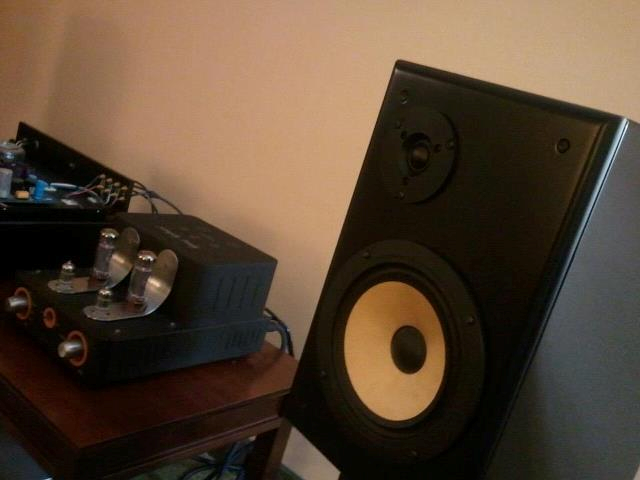 Our other Unison Research integrated, my own personal Sinfonia, was donated to the Soundfield Audio Room. 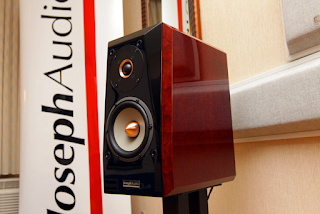 Located in one of the big meeting rooms downstairs, the Soundfield Audio system sounded big and full and impressive. Designer Ammar Jadusingh was very picky and critical about set-up and it took a long time for him to be happy with the sound, but he finally got there. Here's a pic of the Sinfonia with plenty of products from Audio Electronics--the affordable line from Cary Audio. Ammar switched back and forth between the two lines of amplification and while I'm partial to the warmer, textured sound of the Sinfonia, the AE gear held its own with a slightly more exact and refined sound. 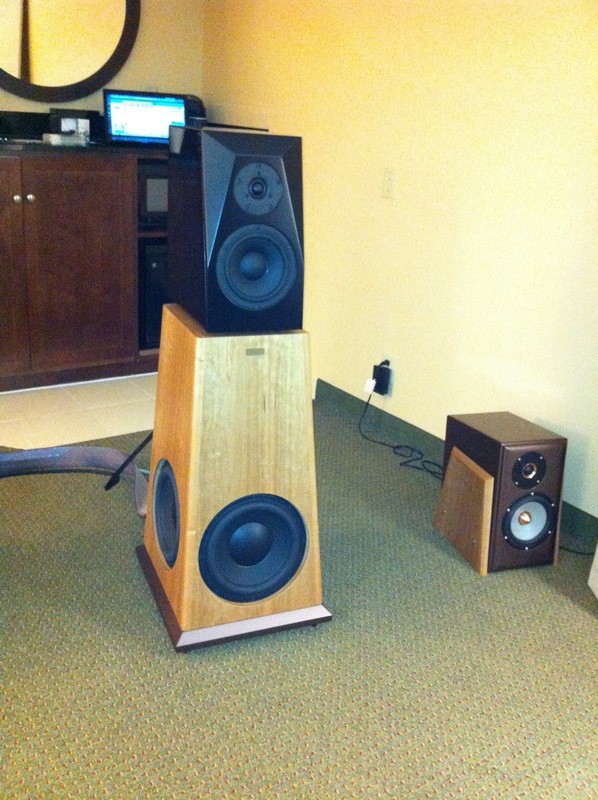 The real star of the show, however, was the Evolution Acoustics MMMicroOne speakers in Scott Warren's room. Scott is the proprietor of Advanced Home Theater in Plano, Texas, and he took my "best sound of the show" two years ago with the incredible YG Acoustics Carmel speakers and Luxman electronics. He wasn't at LSAF last year, but he more than made up for his absence by presenting another stellar system this year. Using a BMC integrated, a Playback Designs DAC/transport and MIT cabling, these modest little speakers filled the room with relatively deep bass, an enormous soundstage and an exciting sense of realism. The kicker? These speakers are only $2500 per pair, including stands. Evolution Acoustics is known for their very expensive speakers--the next speaker up in the line retails for $38,000 according to Scott--so the pedigree is there. These speakers exude quality with their proprietary ceramic drivers and ribbon tweeters, along with their beautifully finished cabinets. The new speakers from Bamberg Audio were also impressive. Phil Bamberg has known Colleen for many years--he's always used Cardas binding posts in his designs because he's a huge fan. Despite using a modest stack of electronics from Emotiva with his speakers, which retail for more than $8,000, he achieved holographic imaging and amazing soundstage depth. In this photo he's actually using a pair of his more modest $900 monitors as the head units for the speaker--the speakers sitting on the floor are the actual head units. Finally, I had to visit the always impressive room set up by Raven Audio. Of all the small Texas companies that come to Lone Star Audio Fest, Raven Audio is the one that seems to be growing the most and achieving a reputation beyond the confines of the Lone Star state. I've mentioned Raven Audio to people at other audio shows across the country and they definitely know the name. Every year it seems that Raven increases their product line by numerous models. I didn't actually count all the integrated amplifiers, preamplifiers and power amplifiers in the big conference room, but it must have been at least twenty. As I said, Raven has a huge product line, and I expect to see them at all the other trade shows within the next year or so. Overall, the show was quieter than last year, when the show organizers were debating about the future of LSAF. Was it going to remain a haven for Texas-bred audio DIY-ers, or were the pros going to come in and take over? This year it seemed like there were less rooms, but those rooms were filled with much better equipment. I didn't see a single unfinished plywood speaker, and with one or two exceptions I heard excellent sound in most rooms. If you're a Texas audiophile, however, you owe it to yourself to check out LSAF every May. It's down-to-earth charm is unmatched by any of the other audio shows we attend, and it's free! It's that time of year again...time for the Lone Star Audio Fest in Dallas! This is my third year in a row for LSAF--the first year Colleen and I were just attendees, the second year we shared a room with Russ Gates of Polk Audio, and this year we're bringing a couple of amps for two separate rooms. CCI toyed with the idea of having its own exhibit room, but we just got back from the New York Audio two weeks ago and we have have less than a month until the T.H.E. Show in Newport Beach, California. We're still a little tired, so we're just delivering the amps and hanging out for a day or so. For those of you unfamiliar with Lone Star, it's a small regional audio trade show that focuses mostly on DIYers and small Texas companies. Last year we noticed that larger companies such as Legacy and, well, Unison Research, were starting to take notice. In addition, some of the show's mainstays such as Raven Audio and Oddwatt are starting to make it big in the audio world. It will be interesting to see if the show will be even bigger for 2013. First, we're teaming again with Russ Gates. Russ is no longer with Polk Audio, but he has been working on his own speaker design for quite a while and he'll be debuting it at LSAF. Last year, Russ was so enamored with the Unison Research Simply Italy we used in his room that he bought one. He'll be bringing it to the show. I'll spend some time listening to his speakers in his room and I'll report further. Next, we'll be bringing up my personal Unison Research Sinfonia integrated amplifier for use in the Soundfield Audio room, which will be located on the ground floor in the Frisco Room. You can find out more info on Soundfield Audio at their website. The 2013 Lone Star Audio Fest will start tomorrow, May 3, and run through Sunday the 5th. It's located at the Embassy Suites North Dallas Park Central in Dallas, Texas. Admission is free, so stop by and say hello. You can check out the LSAF website for more info. 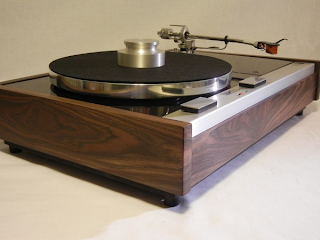 Dave Archambault at Vinyl Nirvana has just finished another one of his custom long-base Thorens TD-125 turntables--this one with an utterly gorgeous morado (Bolivian rosewood) plinth. The morado isn't just a veneer; it's made from 3/4" solid wood all around with several coats of tung oil used to bring out the beauty of the grain. Dave only makes three of these each year, so they're definitely one-of-a-kind. 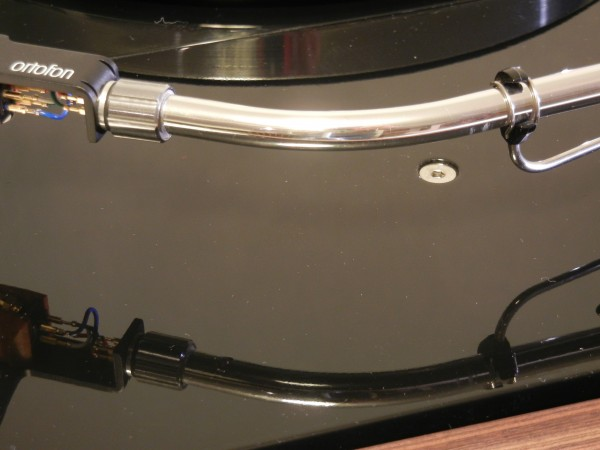 The long base design allows for 12" tonearms to be used on the TD-125. Dave has included the SME M2-12R tonearm, which is a new version of the classic 3012 arm. 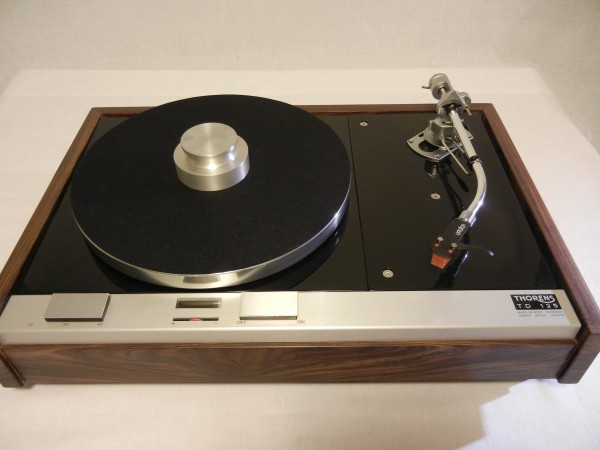 What's amazing about this turntable package is that the arm itself retails for $2000. 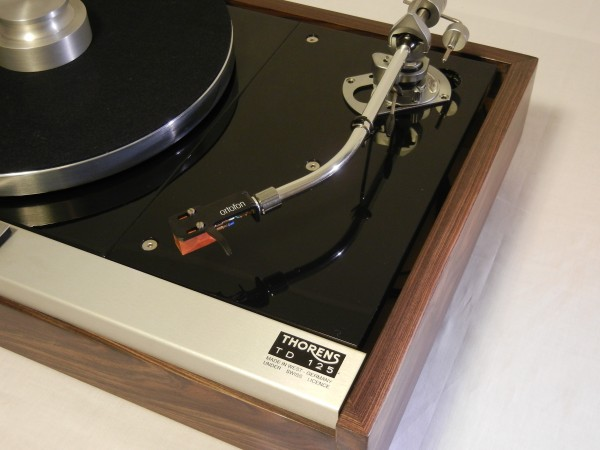 That means you're getting this custom, fully restored Thorens TD-125 for less than $1500--an insanely low price. When you buy one of Dave's fully restored vintage turntables, it's almost like getting one brand new out of the box. In most cases, it might actually be better! This TD-125, for example, comes with a top plate that has been sandblasted and refinished to look better than new. All the caps and resistors in the speed control unit have been replaced, and both the armboard and the metal faceplate is brand new. Once everything is completed, Dave ensures that the performance is fully up to spec--just like the day it was made. The cost of this table and arm is $3495 plus shipping. As Dave says, the TD-125's performance is good enough to warrant any modern $500 to $2000 cartridge. Again, this is a turntable I would love to own. It's definitely unique in every way, and rivals or even exceeds the performance of modern turntables in its price range. For more information, check out the Vinyl Nirvana website.